The first weeks of janurary are usually quiet for me, there are not many concerts and events right after christmas, people want to stay home, work on their new-year resolutions and save money. Last wednesday I started the concert-season with Bjørvika Business Band, an entertaining big-band based on graduates from NHH in Bergen. I was there only as a substitute-engineer, but these former buisness-students were (of course) very organised, making my job easy, and (hopefully) business as usual for them. 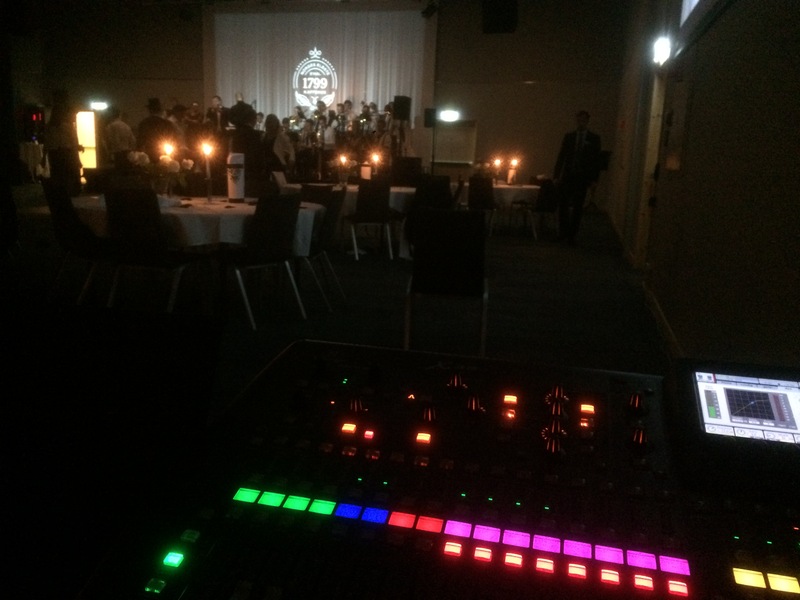 They had a complete set-up with technical equipment including the new notorious Behringer x32 mixer which I used for the first time. Actually I think this mixer was a good match for this job (we used all 32 channels;) speaking of workflow there was not much I lacked compared to the more expensive alternatives. I really enjoyed the RTA on the EQ, which gives a visual representation of the frequencies that you work with, not only making the job of Equalization easier, its also a great tool for learning more about audio. More mixer-companies should implement the same thing in their products. The x-32 also had some useful effects apart from the usual reverb and delays: the transient-shaper is a “must-have” when the kick-drum has no hole in the skin: remove some sustain and the kick becomes drier. Unfortunately you can’t do the same with a gate because the kick is too dynamic to set the treshold right.. I also enjoyed the “aural-exciter” effect on vocals, its a trick to make the vocals brighter without making the sound as harsh as a normal EQ can do with high-boost. I only wish that the mixer had more than 8 effect-slots, hopefully in the future the progress in CPU-power will make this an easy task. 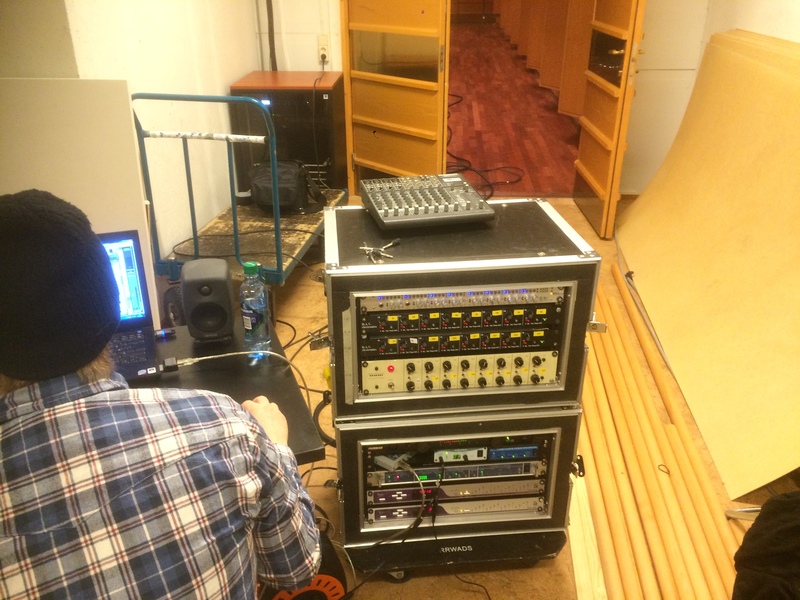 Another small criticism is that the patching is not so configurable, when using a stage-box I couldn’t use a talkback-mic through one of the 32 channels, meaning that I couldn’t use my own voice to test the effects, routing etc. Instead I had to use the dedicated talkback-input which is directly routed to the outputs. The Business-Band made a great show for the company that hired them, and if I worked with events I would definelitely consider hiring a big-band like that; a big-band has a lot more impact on the audience than a DJ or a small band can have, especially after a long and boring day of seminars. And because they are so well organised they dont require much extra work from the promoters: just give them a big enough stage and they will take care of everything else. Thursday saw the season-opening for Riksscenen, the best place in Oslo to hear traditional Norwegian music. 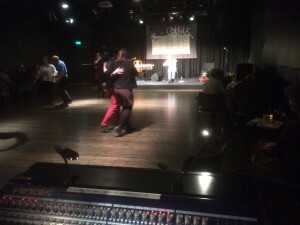 This time they had a dancing-event where the audience was invited to dance to solo-performances on stage. Riksscenen do an important job to keep these old Norwegian traditions alive. On the other hand they are not afraid to expose this old music with the modern world, as I mentioned earlier, just the fact that the music is amplified through a professional PA-system means that evolving is unavoidable. This season they have a mixed program with some really strong headlines, the most anticipated concert is perhaps on 10. may when the popular pop/folk-band Valkyrien Allstars will celebrate their 10-years jubilee at Riksscenen. 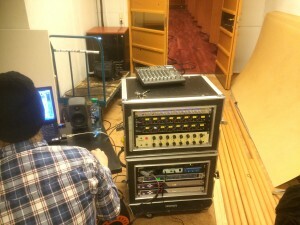 On friday I went back to the Music-academy with my colleague Audun Rødsten, to record Grieg Opus 17 on solo grand-piano . These 25 tunes are highly inspired by Norwegian folk-music. Now I just got an idea: when the recordings are finished edited and made public, perhaps I should send a copy to Riksscenen hoping for a piano-concert of the same piece? The piano is not much used in norwegian folk-music, making this composition highly interesting for the folk-music community. 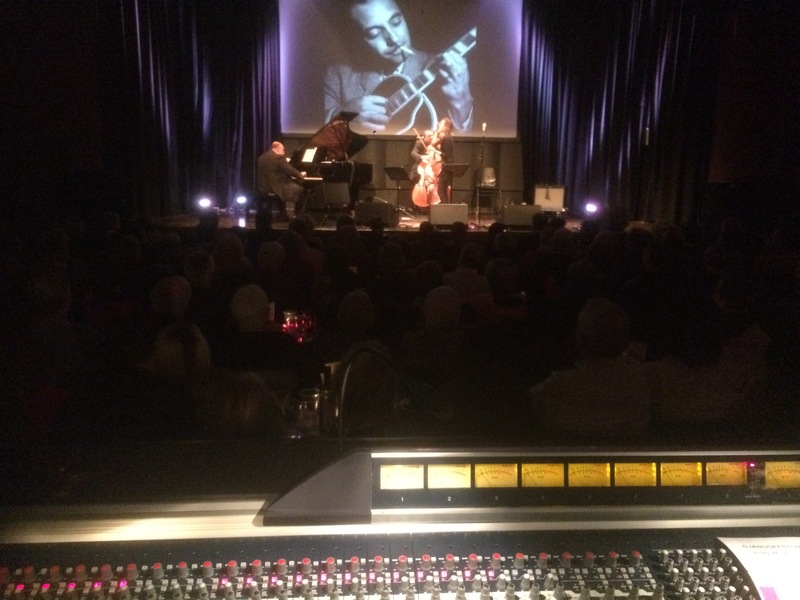 On saturday I went to Cosmopolite to mix the sound for the second day of the Django-festival. 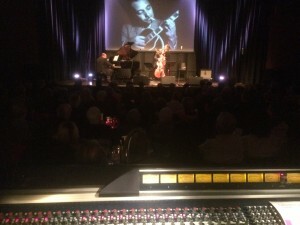 full concert-hall of 400, 3 bands, dbx 160a on the piano and a soundcraft-analog mixer. I used to work a lot for Cosmopolite, and it was great to be back for this special event.